Welcome to Luke24vs47.com. We hope you love our site..!!!!! I came across your website because I heard about what you did on the campus of UMass Lowell today. I am a pastor if a church in the next town over. I have served here thirteen years. I have come to love the people of New England. I want and pray for God’s grace to rain down on New England. I want to spread the Gospel through relationships with people, getting to know them so that the Holy Spirit can use me to speak the Gospel into their lives in ways they will understand it. I want to see people changed by the power of God. In saying all of this, I implore you to never do again what you did today. We don’t need another Westboro Baptist Church. We don’t need another fire and brimstone preacher. We don’t need another zealot who stands on his soapbox to let the world know what he is against. Please stop this nonsense. 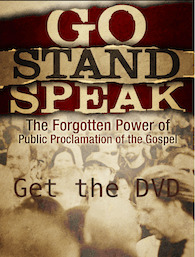 We need Gospel preachers and I want you to be a part of that mission. Just not like this. Thanks for commenting pastor. You failed to identify yourself beyond your title. I too have a love for the people of New England and have been praying and preaching for about 6 years at places like Lowell: for there to be a movement of God in the area. I pray for the Holy Spirit to do what only He can do, convict of sin, of righteousness, and of judgment. I too want to spreadd the Gospel not only in New England but in every nation on earth. But I believe it will only be done in God’s prescribed ways. True believers are commissioned to “go and preach” the Gospel to every nation ( Mk 16), and to preach Repentance and remission of sin (Luke 24). The Gospel is to be preached as a means by which God saves sinners. Faith comes by hearing and hearing by the word of God. How will they call on the name of the Lord unless they believe, and how will they believe unless they hear, and how will they hear unless someone goes to preach(Romans 10). But you would claim to have a better method. Your friendship making ability is apparently the one thing needful for souls to be saved. I am not your authority so if you prefer to invent your methods, I am not interested in changing you. But I would warn you with one of Jesus warnings, “Woe to you when all men speak well of you! for so did their fathers to the false prophets.” I am not a member or even in agreement with the Westboro Baptist church and I disagree with their methods and message, but what this school and this part of the country needs is a local preacher who in faith would preach the Gospel to the unconverted as the Apostles did, calling them to repentance and faith. To read of their “friendship making skills,” ( stoned, left for dead, imprisoned”), one only has to read the book of Acts. The last thing the people in New England need is a false shepherd saying “peace peace”, when there is no peace. A believer like Paul would rejoice when the Gospel was preached even by someone he did not approve of. Your response to unbeliever’s negative reaction to the preaching is concerning. There were actually Christian students that were appalled at the behavior of their classmates. It is strange that you are appalled by the preachers. Thanks for commenting. I am afraid we disagree on this, but I will trust in what God has revealed to us in the Bible and use the methods He prescribed. If you have some scripture contrary to what I have written, feel free to respond. It’s so interesting that I just read a comment remarking on the politeness and manners of students at one college as opposed to the rudeness of the other, yet in every single encounter with someone promoting this site I have been met with nothing but irrefutable hatred. Greetings. Thanks for taking the time to comment. Honestly, I don’t understand. I would like to approve it, but I am hoping you might clarify. Apparently you read a comment describing polite students at a campus and impolite students at another. And there is another issue with the promoting of the site. I am a Christian, saved by Jesus Christ through saving faith that He gave me by His grace. He is named Jesus because He saves His people from their sins. He sends believers out to tell others whom it is; that can save them from their sins, how they can receive remission for their sins, and how they can be set free from the power of sin. This is called the great commission. And the mission is to take this message to non-Christians in love and prayer and have faith that since the Gospel is the power of God unto salvation, that those whom Jesus died for would be drawn to Him by the Holy Spirit, and that by the mercy of God; their heart would be opened to the truth. Whether the hearers are polite or rude does not change the message or the demeanor with which it is conveyed. I would appreciate it if you could take a few minutes and help me understand your position. Is it the message or the manner in which the message is conveyed that you are concerned about. The message is perfect. The preachers are not perfect, but we pray before we start and afterwards we pray and hopefully learn each day. Hello from a JMU student. I still haven’t forgotten about your visit to my campus in previous years. This message is an encouragement to keep on ministering to the college population; they need the Lord! Both for salvation and to rescue their lives from the path if destruction.